There is an unfinished math problem. Can you place the digits in the correct location? Three challenging levels to try! 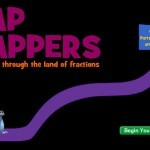 Use fractions to fill the gaps.